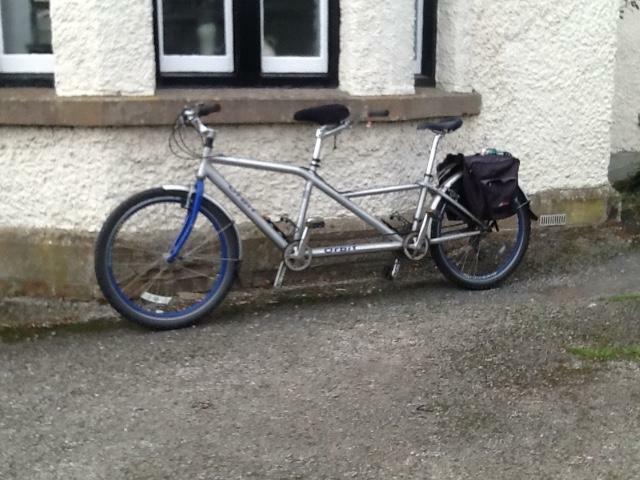 Orbit tandem 15 years old. Low mileage. 24 gears. Panniers included.